Each Chopin waltz is an elegant salon piece with unique freshness and sparkle. Chopin wrote his waltzes over the course of his entire life. I think they're a great example of his talent of adding his own stamp to a particular genre. Chopin's waltzes were unlike any that had come before. They were hugely different from the popular (at the time) Viennese ballroom style, which Chopin thought was a bit loud and silly. Instead, he penned sophisticated waltzes to fill the quiet rooms of society's elite, where he usually performed. There are 19 Chopin waltzes. But only 8 of them were published when he was alive - the rest were published after he died. These other ones aren't really as well-written or interesting as the ones which were published during Chopin's lifetime. Chopin realized this, so he didn't submit them to be published. Chopin: (looking at a piece of sheet music) You know, these waltzes aren't really that good now I look at them. Publisher: Frédéric you old card! Have any more of those delightful waltzes to publish? They're flying off the shelves after you played them at Princess So-and-so's soirée! Chopin: (quickly hiding the manuscript behind his back) Er... no... not really... Oh, look! There's a set of piano etudes! Take those instead! Publisher: Ah, excellent! Well, I assume you'll be happy with the usual lack of royalties and an advance payment that comes several years late?? It actually took quite a while for some of them to finally get published - one Chopin waltz wasn't even found until well into the 20th century! Opus 64 No. 1 in D flat major, popularly known as the Minute Waltz, is by far the most well-known and famous of the Chopin waltzes. It's a lively miniature, with a delicate feeling of never-ending motion. Its nickname refers to "minute" as in "tiny", not the unit of time lasting 60 seconds... This has confused a lot of people who assume it to mean the latter, especially since the piece in fact lasts almost 2 minutes!! (The Brown-Index is a list of all of Chopin's pieces based on date of composition, which comes from the 1960 book by Maurice JE Brown). Waltzes 18 and 19 in E flat major and A minor are a bit mysterious. Some researchers think that they're not real Chopin pieces, since the way the music is constructed isn't the same as the every other Chopin waltz. However, the pieces sound like Chopin to me, and the different structure was probably because they were sketches which Chopin didn't manage to finish. I really love several of the waltzes. The floating delicacy of Op. 70 No. 1 in G flat major is enchanting. The sadness of Op. 34 No. 2 in A minor (Chopin's own favorite waltz) is touching and understated. And let's not forget the sheer fun of the Minute Waltz!! But my favorite waltz in Op. 42 in A flat major. 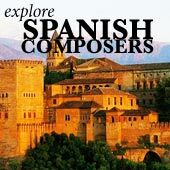 The composer Robert Schumann thought that it was such an aristocratic and well-crafted piece that it should only be danced to by nobles above the rank of countess! The recordings from Vladimir Ashkenazy from his complete set on the Decca label are a benchmark for me. Ashkenazy plays brilliantly, with magical flair, although I find he whacks the keys a bit too hard during loud sections. Idil Biret has a nice little set of the complete Chopin waltzes on Naxos, which are a great introduction to the pieces. 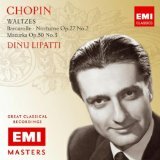 An excellent historical recording of the waltzes (or most of them) is by Romanian pianist Dinu Lipatti, recorded in the 1940s. I find these recordings to have an utterly perfect sense of rhythm and excitement. 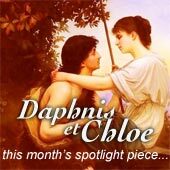 Click to read about famous pianist Dinu Lipatti, a great talent that was taken from the world tragically young. 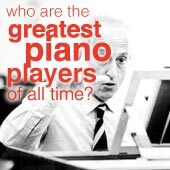 Lipatti manages to play technically flawlessly, but without showing off. He lets the waltzes express their own graceful charm. I'd recommend this CD if you want to hear the waltzes the way they should be played. You almost forget you're hearing piano music! The recording is available on EMI classics, along with a few other pieces by Chopin, which are equally well-performed! You may also be interested in the Chopin Etudes, or a biography of the composer's tumultuous life.